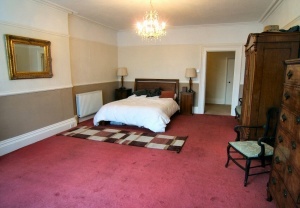 A very large ground floor apartment with grand room dimensions and period features. 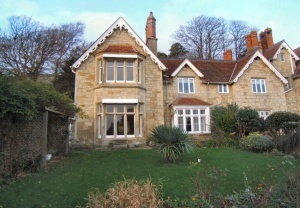 With its own impressive entrance porch, the property is part of a Grade II listed building with an interesting history. There are some sea glimpses from the apartment and a good sea view from the extensive garden which is for the owner抯 private use. 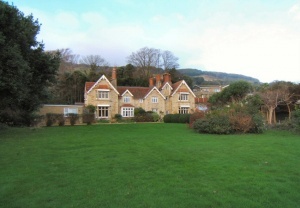 To the front is a garage and large driveway. 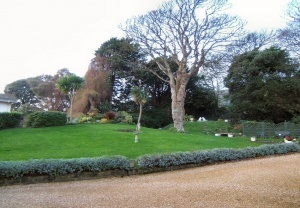 A short walk away is the beach and sea wall at Bonchurch as well as the beautiful village with its pretty stone cottages. 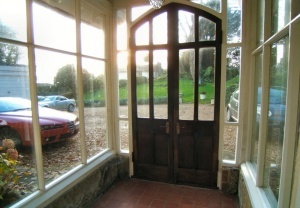 ENTRANCE PORCH: 6� x 5�br />Glazed on three sides and quarry tiled floor. 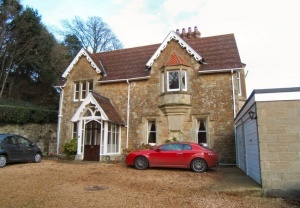 ENTRANCE HALL: 32�x 6�br />An impressive hall which incorporates the open plan kitchen and has doors off to all rooms. 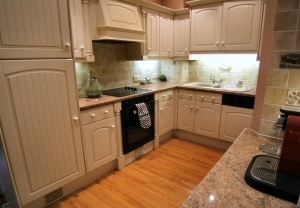 KITCHEN: 16�x 8�br />A fitted kitchen with a range of cream coloured base and wall units. Integrated electric cooker and hob with extractor hood, integrated fridge and freezer and integrated dishwasher. One and a half bowl cream sink and drainer with mixer tap. Concealed lighting. 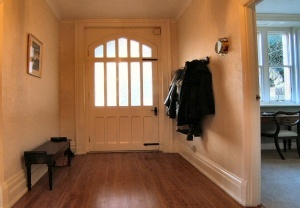 Door to lobby leading to shower room and cupboard housing gas central heating boiler. 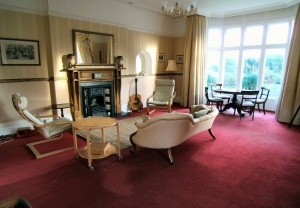 LIVING ROOM: 21�x 16�br />Lovely large room with huge south facing bay window with partial sea view and window shutters. High ceiling, fireplace, currently with coal effect gas fire, deep skirting boards, dado, picture rail and coving. Two further windows to front. Three radiators. 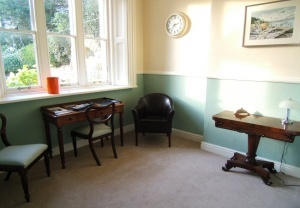 BEDROOM ONE: 22�into bay x 14�br />Another very large bay window with shutters overlooking the apartment抯 own extensive garden, deep skirtings, dado, picture rail and coving. Two radiators. BEDROOM TWO: 9�x 9�br />Another double with large window to front with shutters. Radiator. SHOWER ROOM: 8�x 5�br />Large frosted window to rear. 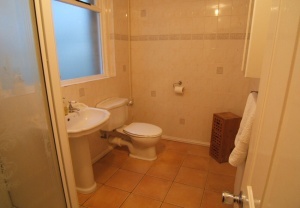 Suite of corner shower cubicle, low level w.c. and pedestal wash hand basin. Very large cellar with vault and wine store. 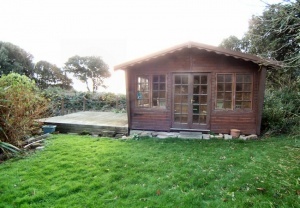 There is a garage and communal driveway to the front and to the side, the property has its own very large garden with lawn, mixed shrub borders, mature trees, deck and large summer house. 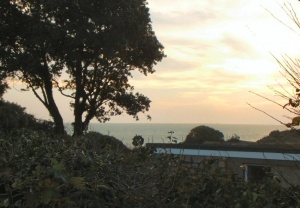 From the end of the garden is a good sea view.